TICKETS: Free with a $10 suggested donation; proceeds to benefit The American Foundation for Equal Rights and CTG. Reservations are recommended and can be made by calling CTG the box office: 908.879.7304. "8" chronicles the trial (Perry v. Schwarzenegger, now called Perry v. Brown) which overturned California’s Proposition 8. It which was written using court transcripts as well as first-hand observations and interviews with the plaintiffs and their families. Please call 732.634.0413 for more information. The Barron Arts Center concludes its current series Latin Fusion: Jersey Style with a visual arts exhibit that celebrates the influence of Latin culture in New Jersey and vice versa. Latin Fusion: Jersey Style THE ART EXHIBIT is part of Latin Fusion: Jersey Style Arts Series. Latin Fusion: Jersey Style THE ART EXHIBIT will feature the works of Latin as well as Latin Influenced New Jersey artists. The works presented showcase the varied perspectives of New Jersey artists who use Latin culture as a creative sounding board. Among the exhibiting artists are Nelson Batista, Gary Bulwicz, Margie D’Angelo, Fran & Richard Eber, Cristina Hoyas, Carlos Rosario, Eduardo Santos, Ray Skibinski, Miriam Spivak, Marcel Truppa, Michael & Carol Tucci, Juan Valdez Perez, Cynthia Walling& Nella Zadra. The exhibit will also feature select works by the late Argentinean sculptor, Otto Zadra. This event is part of the Latin Fusion: Jersey Style series, an all encompassing arts series that celebrates Latin influences in New Jersey and how New Jersey in turn has influenced Latin culture. The series is sponsored by The Woodbridge Township Cultural Arts Commission with the support of Mayor John E. McCormac. Funding has been made possible in part by The Middlesex County Cultural and Heritage Commission through a grant provided by The New Jersey State Council on the Arts / Department of State; a partner agency of the National Endowment for the Arts. Production dates are December 7 thru 23, 2012. Director Jeffery Fiorello seeks a large cast of varying types and ages, all of whom need to sing and move well. Megan Ferentinos is the Choreographer. Musical Director, Chris Curcio, asks that auditioners be ready to sing a song which shows their vocal range, and must bring sheet music in the appropriate key and marked with chord changes. An accompanist will be provided. The Ghost of Christmas Past - (a young girl or boy with a lilting soprano) Should be a dancer or have had dance training. The Ghost of Christmas Present - (an imposing character tenor) Must be comfortable with music and be physically fit. WHEN: Sunday, Sept 16, 6-9 PM and Monday, Sept. 17, 7-9 PM. Callbacks will be 7 PM. Wednesday, Sept. 19. Pictures and resumes are requested, if available. This comedy centers on Becky, a middle-aged woman who's happily married to her husband, but 28 years of wedded life has turned their marriage into a predictable routine. Then she meets a grieving widower who happens to be a millionaire. He mistakenly believes Becky is a widow, and she doesn't immediately straighten him out. In 2010, award-winning playwright Steven Dietz was named one of the most produced playwrights in America (excluding Shakespeare), placing eighth on the list of the Top Ten Most Produced Playwrights in America, tied with Tennessee Williams and Edward Albee for number of productions. The role of “Becky” has already been cast. Joe Foster (age appropriate to Becky; 45-55) — Becky’s husband. Strong, pragmatic, stolid, loves his wife and family, and is significantly smarter than he gives himself credit for. Howard Flood (55-65) — very wealthy businessman. Gentle, sweet, good hearted, and not terribly connected to the real world. Has been lost since his wife’s death. Chris Foster (appears 26) — Joe and Becky’s son. Kensington (Kenni) Flood (early 20s) — Gorgeous, rich, spoiled, cynical, brilliant. Howard’s daughter. Dating Chris. Steve (40-55) — Becky’s coworker. Still grieving the loss of his wife in a hiking accident. Manic, overly emotional. Ginger (40-55) — Walter’s neighbor. Scion of a family that has just about gone through all of its long-held family wealth. Sad, funny, smart. If you have any questions, e-mail beckyscaratcircle@gmail.com. WHEN: Saturday, Sept 15, from 4:30 – 7:30 PM, and Monday, Sept 17, from 2 – 6 PM. Rehearsals will begin in October. CSC is seeking actors, singers who dance, and dancers who sing. CSC is seeking a diverse company; ethnic performers strongly encouraged to attend. Performers can elect to read from sides or perform a monologue. All auditionees should come prepared to move. All singers should bring 16 -32 bars of a musical selection from the traditional musical theatre genre. The play will be performed in the Sitnik Theatre, opening Nov. 23 and running through Dec 9, with performances Wednesdays through Sundays. Actors may elect to call 908.979.0900 x 8 for specific appointment time. Starring Lili Marques of East Hanover, Gus Ibranyi of Bloomfield and Brad Howell of Toms River, with lighting designer Ed Pearson. CALLING ALL WANNABE STAND-UP COMEDIANS! For information and registration call 908.892.5458, or go to www.humorinthemidst.com. For more info visit www.chestertheatregroup.org . INSTRUCTOR: Kate Lyn Reiter is a MFA Yale School of Drama graduate with 12 years experience as a comedienne in NYC. All students will have an opportunity to perform. Ukrainian Dance Ensemble of Philadelphia will host the Zoriany Ukrainian Song and Dance Ensemble of Kirovograd, Ukraine. For tickets on these events or more information, please visit our website at www.brookarts.org. Exercise your creativity, spontaneity, and confidence while strengthening your teamwork, critical thinking, and problem-solving skills in a fun and supportive environment. This class, taught by Bryan Close, will focus on the fun of performing without the pressure. If it's been a while since you've acted or even if you never have, these improv exercises and short scenes will help you be more creative and improve your communication skills while giving you a thoroughly enjoyable experience. Bryan Close teaches acting at NYU's Tisch School of the Arts. Since 2005 he has been the program director and principal acting teacher at the North Carolina Governor's School. For years, Bryan has also taught communication skills to client-facing business professionals at many of the top corporations in the country. He holds a Masters of Fine Arts in Acting from American Conservatory Theater. Blending powerful public speaking techniques with honest acting methods, each student will investigate a famous speech chosen by the student or instructor Marc Weitz and learn what it takes to deliver it confidently and sincerely and with charisma. This is not a class on impersonating famous people, but rather your chance to experience the power of great words, work on your public speaking skills and have fun all at the same time! Don't miss this chance to acquire some invaluable communication skills, work on a brilliant speech and experience the art of great communication. Marc Weitz teaches Speech Communication at Baruch College and theater arts at Fordham University. He also teaches executive communications skills to business people in disciplines ranging from the tech sector, to banking and finance, to insurance. He holds an MFA in Acting from the American Conservatory Theater and a BA from the University of Pennsylvania. Marc is also a busy theater director who has worked with Mile Square Theatre on many occasions directing numerous plays for the Stretch as well as MST's acclaimed 2009 production of Rounding Third. When Prince Edward changes clothes with Tom Canty, the beggar boy, everybody is convinced that Tom is actually the heir to the throne. The true prince, now dressed in rags, is booted out of the palace. From here on out, the two lads lead an extraordinary existence as each tries to get along in a strange new world. Please visit www.studioplayhouse.org for music sides that the auditionees are asked to become familiar with as they will be asked to sing from them at the callback. 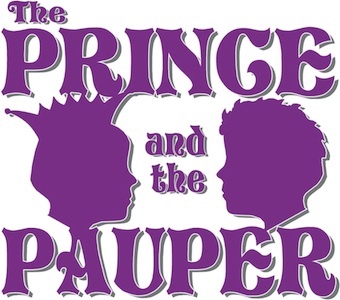 Those auditioning for the Prince or Tom should be familiar with the section of "Something Out There" and those auditioning for any other roles should be familiar with the section of "Who Is He?". Please wear comfortable clothing and shoes as some minimal dance movement is required. The audience at a Bobby Collins show is half the fun. Many of Bobby's enthusiastic fans have been following him for years and know by heart some of his classic bits ("...on the inside!"). But Bobby keeps it fresh with new observations based on everyday life and his travels around the country. Over the years, he has hosted on VH1; toured with Cher, Julio Iglesias, Dolly Parton and Tony Bennett, among others; and released six comedy CDs, "On the Inside," "Out of Bounds," "You're Not Coming With Us," "Mr. New York," "I Wanna Go Home" and most recently "I'm on the Boat." This week, enjoy an evening of free soca in Theater Square! and an opportunity to support NJPAC by shopping at Whole Foods! Free music in NJPAC's Theater Square! Come shop to support the arts! On September 5, Whole Foods will donate 5% of its net proceeds to support NJPAC and its arts education programs! Participating stores include West Orange (235 Prospect Avenue), Vauxhall (2245 Springfield Avenue), Montclair (701 Bloomfield Avenue), and Madison (222 Main Street). $50 performance tickets are available now for this red-hot evening of cool Motown classics, presented by the Women's Association of NJPAC. October 11-14: Single day tickets and festival passes are on sale now. Featuring George Benson, The Manhattan Transfer, David Sanborn, Christian McBride and much more! Coming October 15-21! Single tickets for NJPAC's 2012-2013 season are ON SALE NOW! For the first time ever, rock legend Ian Anderson performs Jethro Tull's progressive rock classic Thick as a Brick live in its entirety, accompanied by the album's recent sequel, Thick as a Brick 2. Celebrate the 50th anniversary of Jamaican independence at NJPAC with this concert that brings together three of reggae’s hottest acts. This new musical produced by 3-time Tony winner Hinton Battle tells the uplifting story of a multi-generational African-American family, using songs made famous by Billie Holiday, Lena Horn, Jill Scott, Beyoncé and more. ADMISSION: $4 per adult, $3 per child ages 2 - 10, FREE for children under 2. Join the fun at this popular annual event, Meet a Monarch Festival, during the monarch butterfly’s peak migration time in New Jersey. Take a guided “Bug Safari” adventure through the butterfly garden searching for hidden critters among the colorful blooms. Meet live monarchs from eggs to adults, and experience the monarch butterfly’s metamorphosis firsthand. 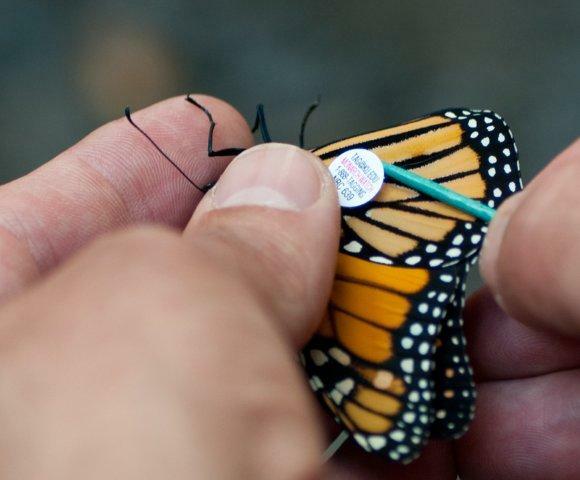 Prior to the release, the monarchs are tagged in order for scientists to track their migration. Then witness the amazing release of live monarch butterflies as they begin their migration to Mexico. Enjoy live music and storytelling, as well as crafts, including butterfly origami with professional instructors! There will also be native plants that attract butterflies and NJ butterfly guides for sale. The inspiration for the blockbuster film “The Ides of March,” Farragut North is a compelling behind-the-scenes foray into the world of politics that provides a fascinating perspective on the lives of the true movers and shakers of the modern political spin game. Call 908.737.4092 for details on their exclusive Opening Night Party at Ursino Restaurant on Friday, September 7th! Serving as a precursor to the upcoming U.S. presidential election, the Premiere Stages production promotes a theme of “get out the vote!” The League of Women Voters will be on hand at all performances to register voters, and guest speakers will conduct topical talk-backs with audiences at select performances. Premiere Stages is made possible in part through funding from The New Jersey State Council on the Arts, The Shubert Foundation, The Geraldine R. Dodge Foundation, The Provident Bank Foundation, The Northfield Bank Foundation, The Westfield Foundation, The New Jersey Theatre Alliance, The New Jersey Historical Commission, The National Science Foundation and through the generous support of individual patrons. My friend’s grandson Myq Kaplan (top row, right) is appearing as part of this show. He is very funny in a low-key, deadpan way and was runner-up in Last Comic Standing a couple of seasons back. I cannot attest to the talent of the other 3 comics, but if he’s performing, it’s worth seeing. TICKETS: Tickets are $36-$54. Youth Tickets (ages 12 and under) are ½ price with the purchase of a full-price adult ticket. Student Rush tickets are available one hour before performances with Student ID. Student Rush tickets are available one hour before performances with Student ID. Tickets are available online at www.surflight.org. Tickets may also be purchased in person at the Surflight box office, by phone at 609.492.9477. For groups (15 or more) call: 609.492.9477 x201. Surflight Theatre is proud to present the New Jersey premiere—an all-new and entirely original musical comedy Once Upon A Time in New Jersey (it’s “The Sopranos” meets “Happy Days”). Winner of the coveted Kleban Prize and Richard Rodgers Award, Once Upon a Time in New Jersey is an Italian-American fairy tale set in Hoboken New Jersey, 1956. A funny, frantic and frenzied fairy tale about what we do for love. Sweet, shy deli clerk Vinnie switches lives with Rocco, the town stud, to win the heart of the woman he loves. An Italian-American farce about dames, games, foods, feuds, molls, dolls, thugs, lugs, switches, snitches, glitches and mistaken identities…and how a simple sandwich guy becomes a hero. You’ll be able to say you saw it at Surflight first!. The Chicago Sun-Times praises Once Upon a Time in New Jersey's "delicious songs" and "huge audience appeal." BBC Liverpool calls it "An engaging, light-hearted musical in the tradition of Little Shop of Horrors." And The Daily Herald describes it as a "Tuneful, good-hearted, humorous and-most importantly-original show." Surflight Theatre’s production of Once Upon a Time in New Jersey is directed by Cara Reichel with choreography by Christine O'Grady (associate choreographer, Broadway's Hair). The musical director is James Higgins. Scenic design and lighting design is by Kevin Allen. Sound design is by Alan Douches. Costume design is by Rachel Guifoyle. The production stage manager is Julie Watson and stage manager is Kevin Clutz. Once Upon a Time in New Jersey was initially developed at The Muhlenberg Summer Music Theater Festival in Allentown, PA. Following a series of readings at The Director's Company, it played to sold-out houses at the Marriott Lincolnshire Theater in Chicago, the Village Theater in Seattle and the Liverpool Institute for the Performing Arts. Once Upon a Time in New Jersey was one of six musicals selected from across the globe for the Global Search for New Musicals Competition in Cardiff Wales. It received rave reviews at The Edinburgh Fringe Festival where it was performed by the Royal Scottish Academy of Music and Drama. Surflight Theatre’s 2012 season continues with Steel Magnolias (September 19 – October 7), the long-running hit revue I Love You, You’re Perfect, Now Change (touted as “Seinfeld set to music") (October 10 – 21), Neil Simon’s Barefoot in the Park (October 24 – November 4), and Irving Berlin’s White Christmas (November 23 – December 21). Our 2012–2013 season has five shows that are ready to burst off the stage with dynamic choreography, irresistible songs, and stories you won’t forget. The best way to get in on the action is to become a subscriber. And now you can join this dedicated group of theater lovers for a song — with a discount of up to 40% off regular ticket prices. Don’t delay, subscribe today to get in on the 2012–2013 season at unprecedented savings. And remember, Paper Mill subscribers also get fantastic benefits, such as free exchange privileges, discounts at area restaurants and retailers, and FREE parking when you bring us a new subscriber. CHECK OUT TWO RIVER’S UPCOMING SEASON!